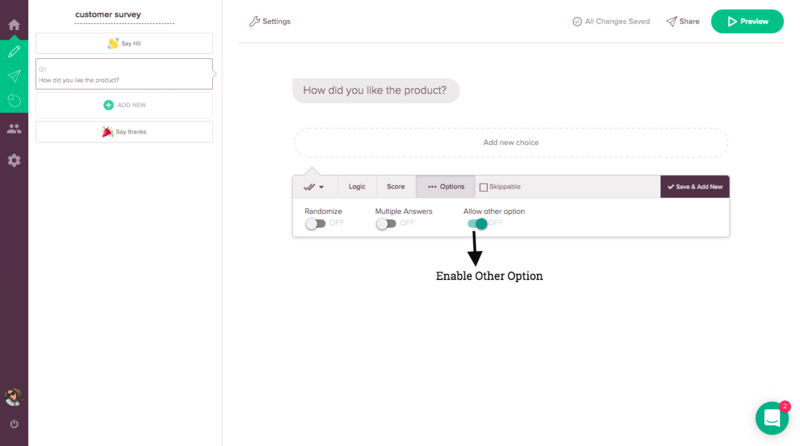 The Other Option in question types enables the user to enter their custom answer apart from the multiple choices provided. If the user wishes to enter a choice which isn't listed in the survey, the Other option enables them to enter their choice. 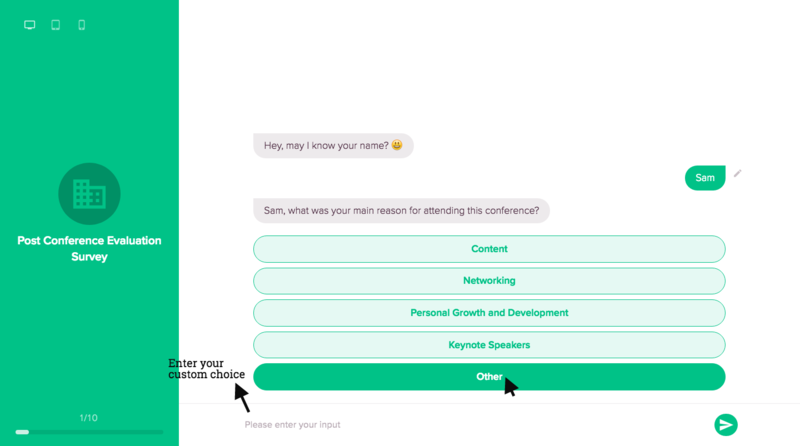 Once the user clicks it, a text field opens up asking them to enter their custom choice. This helps you get a clearer idea of what the user wishes to convey. In your survey builder page, choose MCQ(Multiple Choice Questions) as the question type. Slide the Allow Other Option icon to enable this feature. 2. Once enabled, the user can enter their answer or choice in the survey.